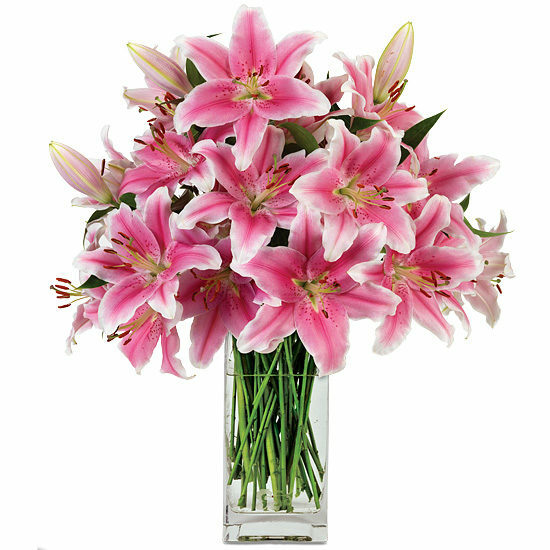 Loved for their delectable fragrance and large, lively flowers, Sorbonne lilies are a sensational choice for Mother’s Day, birthday, or just because. This generous bouquet of 10 multi-blossomed stems creates a passionate display in the prettiest of pink – the blooms’ star-shaped, pale pink petals with dark pink centers finished in a thin white ruffle. 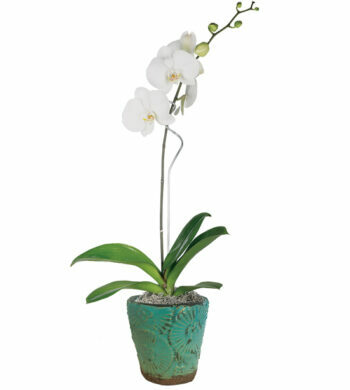 The soft green ceramic vase with scalloped rim and pedestal feet makes an ideal showcase. Shipped in bud and bloom. Remove all foliage that will fall below the water line. 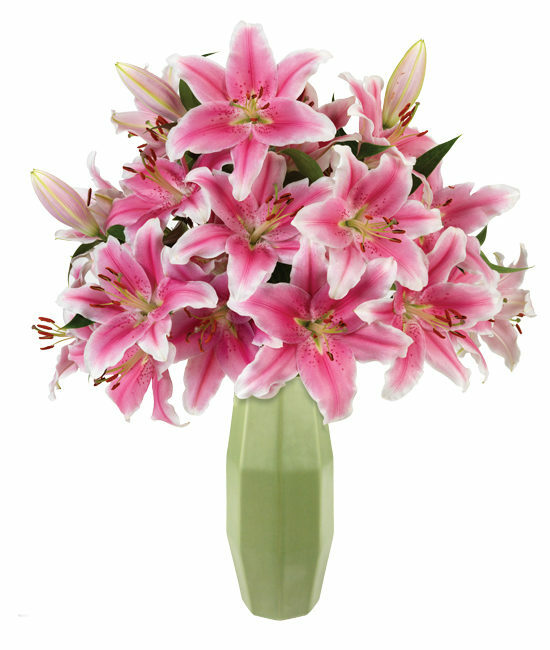 Lilies will take their time to unfurl. Change water and recut stems every other day. As they open, you may gently pull off the pollen anthers to avoid pollen dust. Be careful not to get lily pollen on your clothing or linens. You may wish to place a protective mat under your bouquet to prevent pollen from falling on your furniture or carpet if you do not remove the anthers.